Everything Inside the April Brave Crate!! I moved away from my home state for the very first time just months before my spouse’s first deployment. Newly married, in a new state, in a new home- I wondered if I could actually learn to be happy where I had landed. What I discovered quickly was that I could learn to love my home and my new community all while growing a long distance relationship with the one I loved! 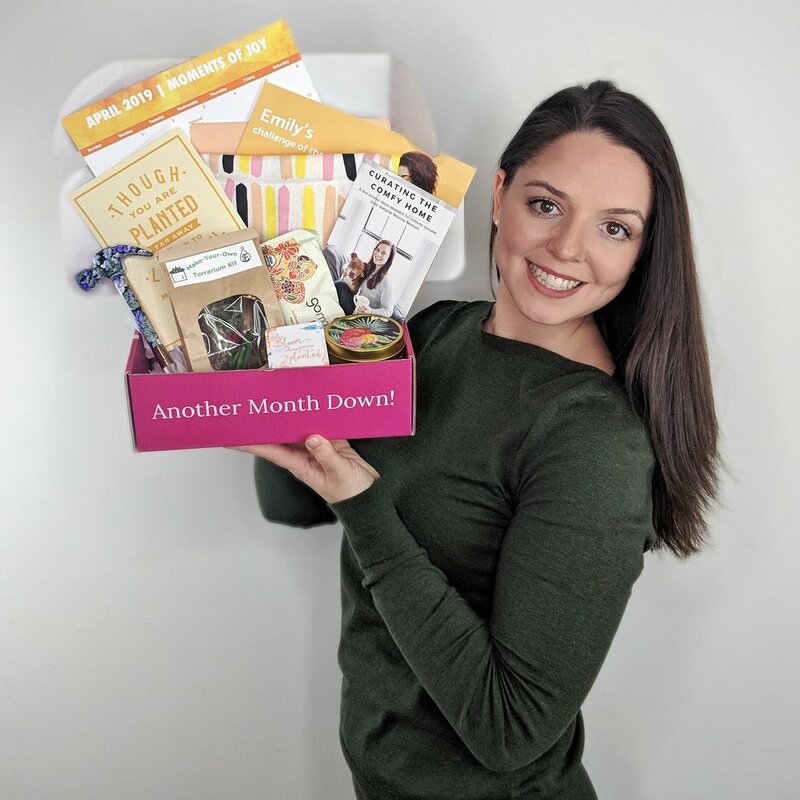 This month the Brave Crate community is focused on embracing the space we’re in right now so that we can BLOOM where we’re planted. Even while our spouses are deployed, we can take steps to make the most of each moment exactly where we are. With the help of guest experts and the deployment essentials you’ve found in this months box, we’ll learn to curate our space during our deployment countdown! I hope that everything inside this months Brave Crate inspires you to make your house feel like home while you prepare for homecoming! Embracing our space means keeping our home in good repair- no matter where the military has sent us! But, searching through your spouse’s tools during deployment is the WORST! So- we got our own! 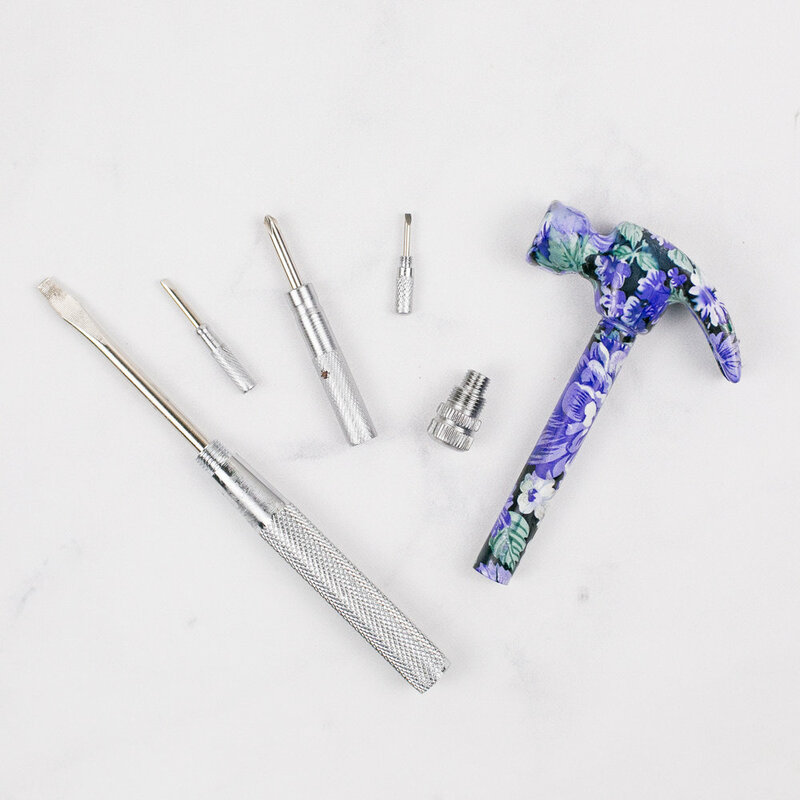 Keep your home in perfect repair with this 6-in-1 floral hammer! 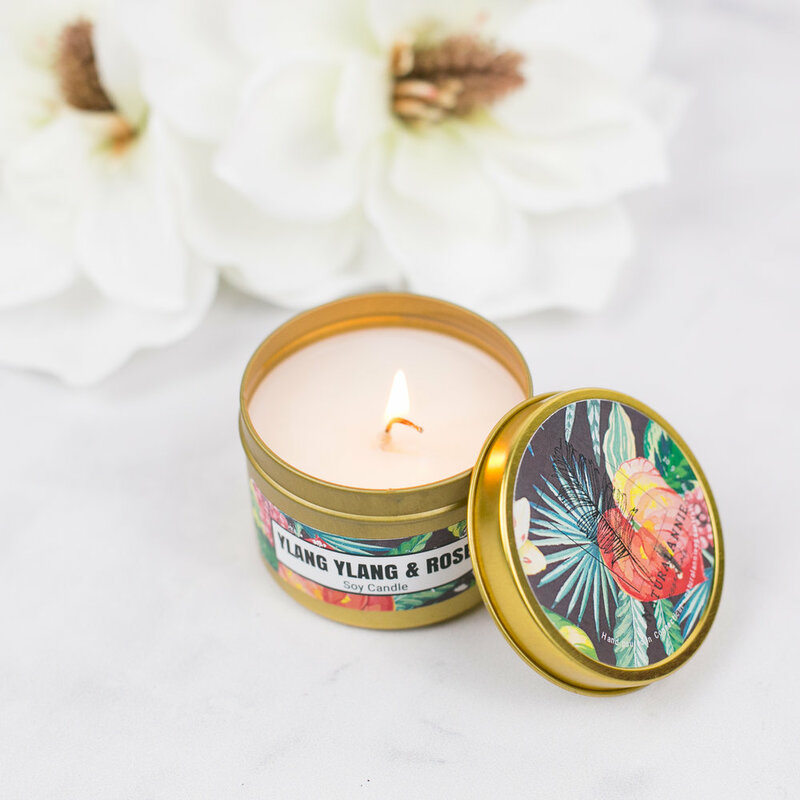 Turn your home into a floral oasis with this highly scented candle! Ylang ylang, ginger, nutmeg, litsea cubeba, mandarin, and cedar essential oils combine to create a fresh and uplifting aroma. No matter where you’ve been planted, this blissful blend fits perfectly with any decor! Take inspiration with you on the go! 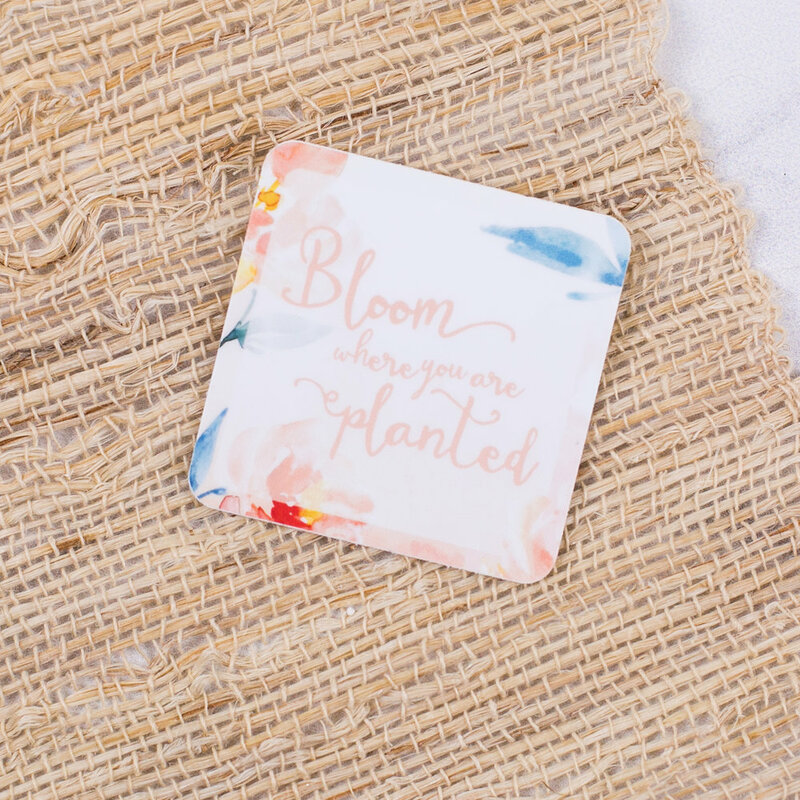 Add this gorgeous floral sticker to your favorite planner or notebook as encouragement each day to find joy during deployment. Distance is reality during deployments- but that doesn’t mean you both won’t bloom exactly where you’re planted Send some love to your spouse or friends from far away with this pre-stamped distance-friendly postcard! Nothing satisfies snack time like fresh ingredients sprouted straight from the earth! No nuts, no soy, no eggs, no dairy, no GMOs, no gluten. This bar is made with organic fair trade chocolate, sprouted flax for some extra omega-3, natural vanilla straight from the vanilla pod,and sunflower seed butter. Add a little green to your scene with this DIY terrarium kit! Perfect for a solo date night, this project is a fun way to create something beautiful to decorate your space, and a visual representation that- like this succulent- you can bloom wherever you’ve been planted during this deployment! Learning to “Bloom” where you’re planted doesn’t always mean remodeling or reorganizing, but can be as effortless as a pop of color that delights you during life’s every day activities! Sometimes all it takes to make your space feel extra special is a little bit of sparkle! This “sprinkle” tea towel is a simple way to add some quick color to your every day chores in the kitchen. Interior Designer Brianna Beninanti knows that military life presents unique challenges when it comes to designing a space that reflects your style. That's why she founded Based in Design- the interior design service that helps military spouses create spaces that can stand up to the military lifestyle! In this live Q&A, Brianna shares her top tips for military spouses who want to add style and comfort to their home and shares her answers to our biggest interior design challenges! Love everything in this Brave Crate! ?